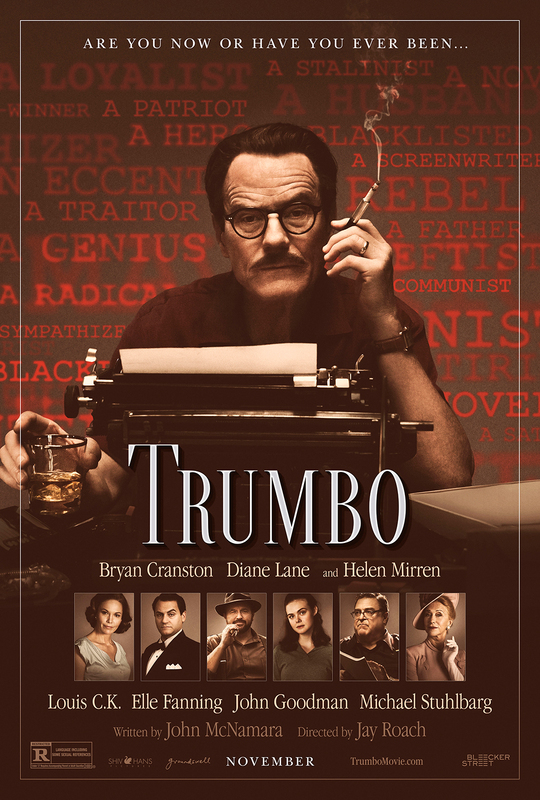 Jay Roach directed this biographical drama based on the life of Hollywood screenwriter Dalton Trumbo, whose active membership in the Communist party of the USA drew contempt from staunchly anti-Soviet figures in the McCarthy era entertainment industry. The cast includes Diane Lane, Helen Mirren, Louis C.K., Elle Fanning, John Goodman, and Bryan Cranston as Trumbo. Helen Mirren received a Golden Globe nomination for Best Supporting Actress and Bryan Cranston was nominated for Best Actor at the 2016 Academy Awards.